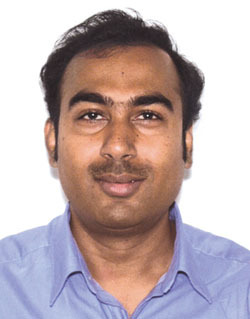 The authors consider the effect of crowding, while investigating the attractiveness of a public transportation service in developing countries like India. The important attributes of a public transportation mode choice largely depends on time and cost. They are recognized as primary attributes influencing the mode choice decision of a trip maker. But researchers over the years have identified the fact that a set of other qualitative travel attributes also influence the choice of a public transportation service. 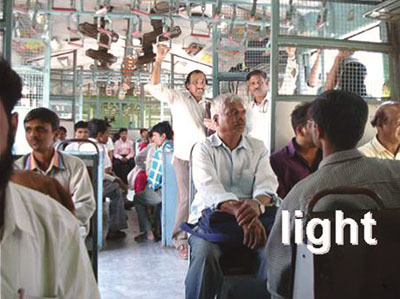 These attributes could be, say the number of travellers occupying a public transportation mode with a certain number of available seats, whether travelling with seat only condition, whether travelling partially with seating and partially with standing condition, or travelling with standing and also in crowded condition etc. These attributes are gradually getting more importance in the analysis of public transportation mode choice both in developed and in developing countries. It happens because of the increase of average income of urban population and a gradual propensity to own personalized vehicles. I n crowding related research, valuing of in-vehicle crowding level is considered as the most important. 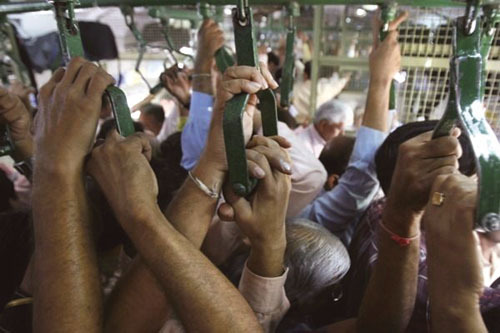 Crowding is considered as one of the important policy agendas and therefore various ways of assessing its role in the choice of public transportation service should be addressed. The value can be measured in three different ways: time multiplier, monetary value per minute or hour and monetary value per trip. The time multiplier is defined as a ratio of generalized time (travel time with crowding effect) and the equivalent travel time, but without crowding condition. 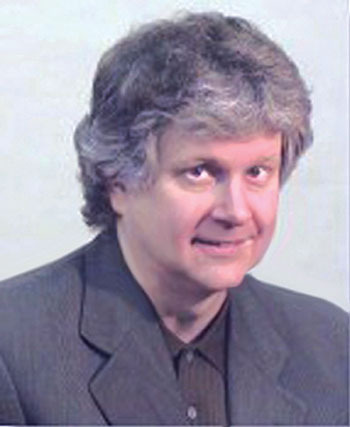 The dimension of time multiplier is defined as time/time. The authors investigated various attributes influencing the attractiveness of suburban train service, taking a case study in Mumbai. The details of study on the attributes selection, survey instrument design, data collection procedure, modelling techniques, and valuing of travel attributes including the crowding level are reported in Basu and Hunt (2012). The study highlighted about how much trip makers were willing to pay (WTP) more for reducing in-vehicle crowding level. WTP implies how much trip makers are willing to pay in monetary cost for a particular benefit. In this study, a travel behaviour analysis was carried using a stated preference (SP) experiment for suburban train trip makers. The various attributes considered in the study were train fare, ride time, time headway. Apart from these attributes, the effect of crowding level was also considered as another important aspect in this study. In this study, crowding was represented as the number of standing passengers/m2. 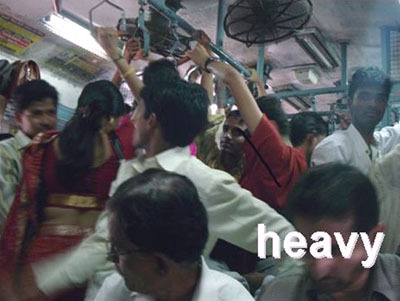 Depending on the possible variation of crowding level in Mumbai suburban train service, five levels of crowding were defined in a qualitative manner as given below. In SP experiment, various hypothetical train travel alternatives (i.e. travel scenarios) were generated under various combinations of attributes and their levels. An example of a hypothetical travel scenario is shown in Table 1. A paper-pencil based SP survey was carried out. The survey was conducted as face-to-face interviews by intercepting train trip makers, while entering or existing suburban train stations. Respondents were briefed about the survey experiment including pictorial presentation of crowding levels. In this work, the behavioural data (data obtained in SP experiment) were analyzed by different types of logit models such as multinomial logit (MNL) and mixed logit (ML) to develop utility function with travel attributes. In the utility function, the coefficient of an attribute emanating from MNL model reveals homogeneity in perception of the attribute across trip makers. The ML model overcomes these constraints by assuming the coefficient of the attribute as a random parameter and thereby it reveals heterogeneity in the perception of an attribute across trip makers. In this study, a constrained triangular distribution, where mean equals its spread was considered for random attributes. The interpretation of the utility function was not simple until the marginal rate of substitution between non-cost travel attributes and travel cost (i.e. train fare) attribute was calculated by taking the ratio of the coefficient of these attributes. The resulting ratio is called marginal willingness-to-pay (WTP) for a unit change in each travel attribute under consideration. Overall, the study revealed that time headway i.e. 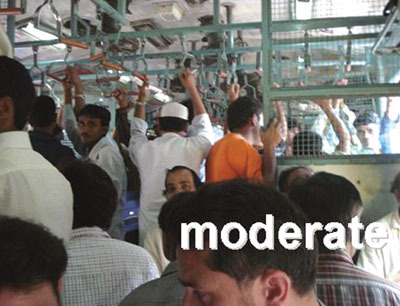 frequency of train services and train ride time associated with a particular crowding level become the important factors for choice of suburban train service in Mumbai city. It was also observed that the value of the length of riding increases with the increase of level of crowding. It indicated that aversion in choosing suburban train service increased with the increase in crowding level. Therefore, it can be stated that trip makers’ WTP increases for reducing the crowding level, when the riding condition get poorer. The work also revealed that frequency of the train service was also important to the trip makers, and they were willing to pay more to reduce the headway time by increasing train service frequency. The more frequent service is expected to bring down the existing crowding level. The present study highlights the importance of WTP for calculating appropriate user benefit for project appraisal by addressing various policy issues for in-vehicle crowding level reduction in train service.